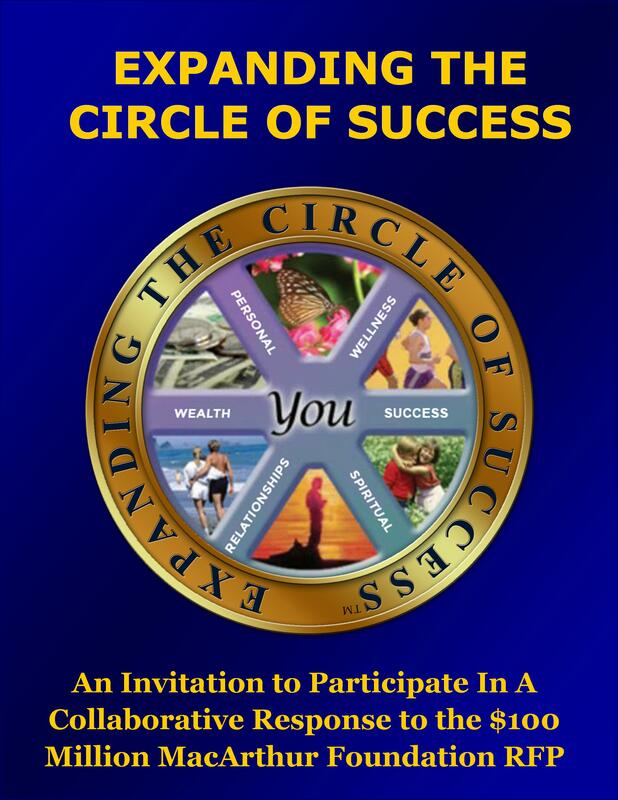 Click Here or on the image above to download a 10 page PDF that presents our initial strategy of seeking to leverage the Foundation’s announcement of the $100 million RFP to introduce the Expanding the Circle of Success Campaign. Bridging the "Access to Creative Thinking, Problem Solving, and Capacity Building Resources Divide!" We believe the best way to generate greater individual and collective capacities for identifying and implementing solutions to the critical social, economic and environmental challenges we face is to empower, equip, and enable individuals, organizations and communities to realize and actualize more of their inherent creative power and potential. Those are the objectives of the non-profit organization and campaign for Expanding the Circle of Success (ETCOS) AND the proposed project for a collaborative response to the RFP for $100 million. Click Here for a 1-page PDF that shares our initial insights on the advantages of the proposed collaborative response and the possible outcomes. 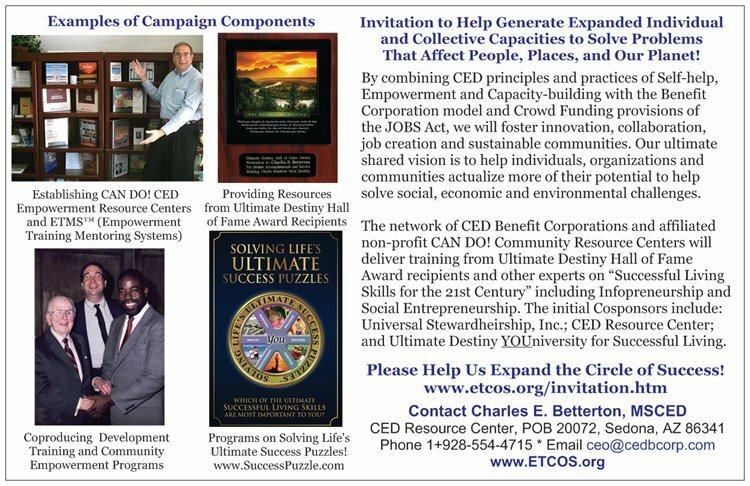 We are seeking a lead applicant and or acceptance of the ETCOS project by the Tides Foundation Center and will donate 100% of the profits from the sale of the 14 stand-alone titles for Solving Life's Ultimate Success Puzzles to the Expanding the Circle of Success Campaign. 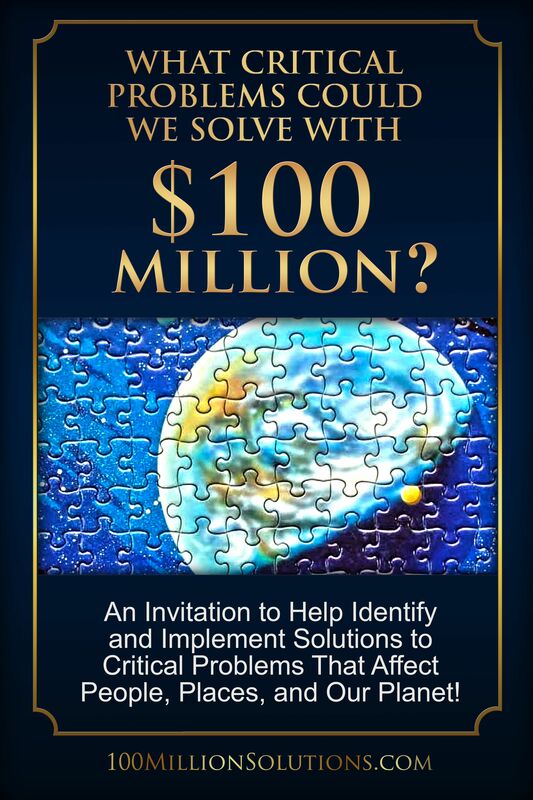 An Invitation to Participate in the MacArthur Foundation's $100 Million Problem Solving Initiative and Help Provide Supplemental Capacity Building Resources and Strategies! Co-﻿F﻿ounders, Sponsors and Strategic Alliance Partners Welcome! Use the Arrows on the Left and Right Side of the Image to Navigate the Presentation! To develop, create, adapt, distribute and deliver development training programs especially to “underserved” populations that have not been introduced to development training and help them learn "Successful Living Skills" including creative thinking, problem solving, entrepreneurship and Infopreneurship. To work with Ultimate Destiny Hall of Fame Award recipients and other major resource providers to adapt existing training programs and develop new programs, products and services at more introductory levels as appropriate. An example is the award-winning Success Center Partnership and how Les Brown repurposed a 100-page, $100 product into a 12 page workbook and workshop for 350 residents of public housing as young as 7 years old. To develop and distribute thousands of ETMS-- Empowerment Training Mentoring Systems to and through local non-profit hosts and sponsors that will provide introductory training programs on successful living skills facilitated by local residents who will be trained and certified as EmpowerMentors. To facilitate the establishment of potentially thousands of local non-profit CAN DO! Community Economic Development Empowerment Resource Centers and help communities learn how to collaborate and coproduce major development training programs and retain the proceeds in their community for ongoing seminars and workshops identified as priority needs by local residents and participants. We have witnessed how helping provide greater access to Successful Living Skills and other resources for expanded individual and collective capabilities to address social, racial, economic and environmental challenges can produce significant results. We have seen thousands of youth benefit from the transformation of an abandoned 22,000 square foot National Guard Armory building into an award-winning Community Empowerment Resource Center. Through the donation of over $50,000 worth of time and materials, Les Brown adapted his $100 program on Choosing Your Own Future into Say YES! to Success with Les!, another award-winning program that helped 350 youth residents of the Muncie, Indiana Public Housing Authority learn how to Discover and Actualize the Greatness Within. We have helped adapt the traditional for-profit speakers' bureau into a CAN DO! 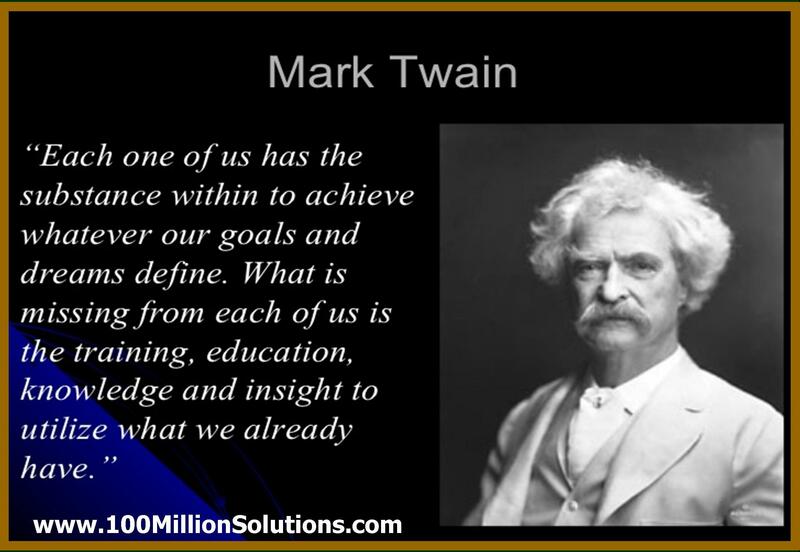 Community Empowerment model that enabled a community of less than 25,000 residents to have access to training programs on Leadership, Personal, Professional and Organizational Development and Successful Living Skills from world-class trainers such as Norman Vincent Peale, Brian Tracy, Les Brown, Jim Rohn, Bonnie St. John, and Mark Victor Hansen. We are inviting individuals and organizations interested in developing a collaborative response to the 100 million dollar MacArthur Foundation Request For Proposals to collaborate and help us incorporate all these past successes into a campaign for Expanding the Circle of Success. That will include our project to establish a network of Community Economic Development Resource Centers to help introduce the unprecedented resources available for innovation, collaboration, job creation and sustainability through the Benefit Corporation model and forthcoming Equity Crowd Financing provisions of the US JOBS Act. Realizing more of our inherent potential. Loraine's visionary statement encompasses our ultimate vision and mission of fostering personal, community, national and global transformation. We seek to accomplish that by providing expanded access to state-of-the-art resources for Community Economic Development training while incorporating CED principles of Self-Help, Empowerment and Capacity Building. (1) What are the greatest problems affecting the quality of life in the community? Inadequate citizen involvement in community affairs. Lack of community unity and cooperation and collaboration. (2) What corrective measures can be taken to address those problems? Develop more community-based programs . Expand church and community involvement. Provide access to resources that will enhance self-help, empowerment and capacity building for individuals and organizations. In response to that feedback, successful award-winning prototype Community Resource Centers have been established for a Public Housing Authority, a Community Development Corporation and for a small city. 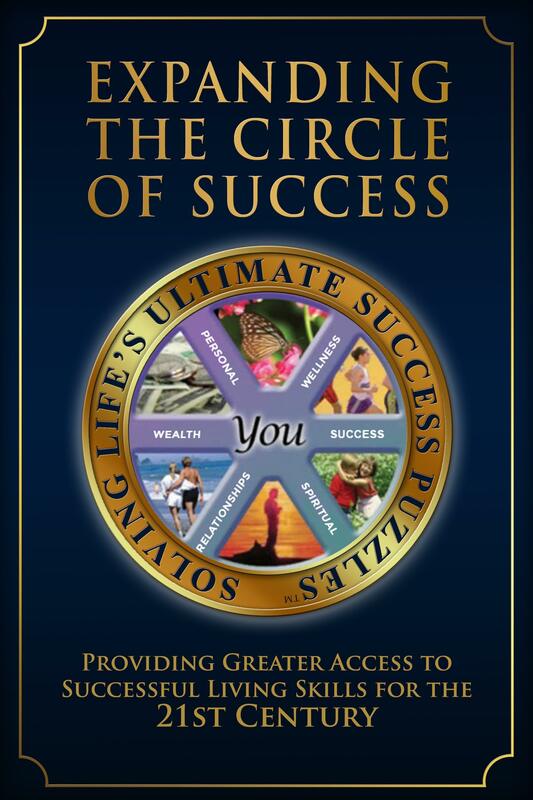 As a result of the positive outcomes, we created the Expanding the Circle of Success campaign to help establish a network of locally initiated non-profit CAN DO! Community Economic Development Empowerment Resource Centers and help distribute $100 million dollars worth of development training resources to and through a network of local sponsors. During one of the classes in the 1990-1992 Community Economic Development Master’s program at Southern New Hampshire University, students spent time discussing the root causes of the problems that threaten our society. They developed the following list which are apparently even more relevant at the present time given the increased levels of social, political and racial divisiveness. The me generation. Getting away from God. Lack of spirituality. Lack of common vision. Absence of wisdom. Focus on accumulation versus circulation. Spiritual and cultural disintegration and the Lack of an appropriate values system and ways to express it. Spiritual underpinning, a sense of oneness. Application of cooperative principles. A focus on human development along with community development. Retention of wealth in the neighborhoods. Valuing community and the larger society. Consideration and appreciation of multicultural differences in religion, values perspectives and communication. Enabling people and communities to empower themselves. We are preparing to publish two books as part of our strategy to respond to and leverage the MacArthur Foundation's Competition to Award $100 Million to Help Solve a Critical Problem of Our Time. As you review our strategy and prior award-winning prototypes, you will recognize that we have been preparing for years to distribute 100 million dollars worth of development training resources and training-of-trainers to help Expand the Circle of Success and facilitate greater individual and collective problem solving capabilities. Based on decades of relevant experience, we believe the best way to close the gap between the "Haves and the Have-Nots" and help address the "Digital Divide" is to resolve the "Access to Creative Thinking, Problem Solving and Capacity-Building Resources Divide." "We are called to be architects of the future, not its victims. The challenge is to make the world work for 100% of humanity in the shortest possible time, with spontaneous cooperation and without ecological damage or disadvantage of anyone. How can we make the world work for 100 percent of humanity in the shortest possible time through spontaneous cooperation without ecological damage or disadvantage to anyone? 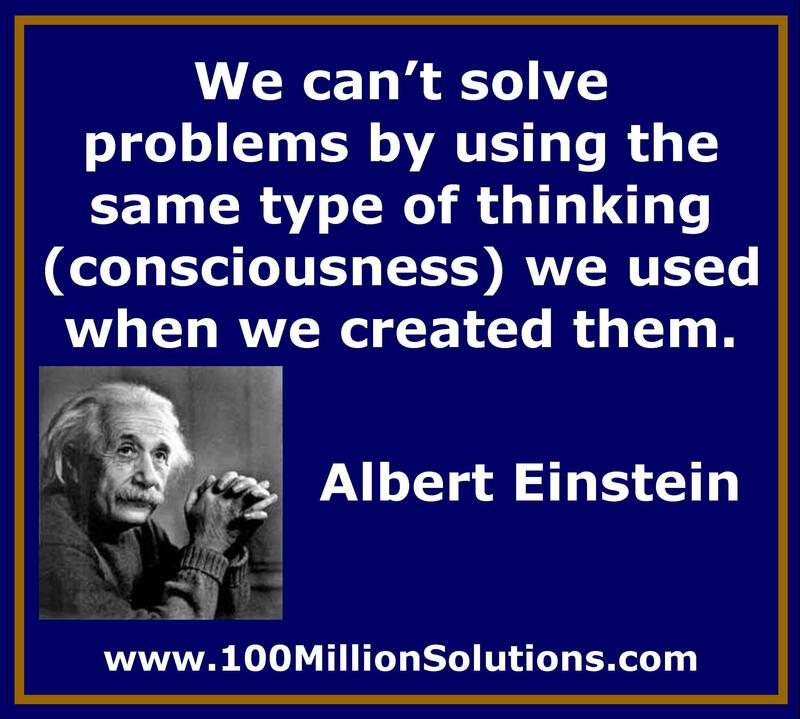 Copyright 2018 by 100 Million Solutions for Problems That Affect People, Places and Planet!.